An international Military Order originally comprised of male nurses devoted to providing succor to Christian pilgrims in the “Holy Land.” It was founded in 1070 by Italian merchants from Amalfi. Following the capture of Jerusalem by the First Crusade the nursing brothers hired a number of knights with crusading experience in Iberia to protect pilgrims journeying to nearby holy sites and shrines, a service already offered by the Knights Templar. The Order of the Hospital was recognized by the papacy in 1113 and was much pampered by successive popes. Its first military action was in 1136, when the Order was given land to fortify and defend at Beit Jibrin, between Gaza and Hebron. In the 1140s the Brethren fended off Muslim raids into the Crusader states, after which more Hospitallers took up arms and accepted contracts to protect Latin castles and pilgrims. Soon this military function overshadowed the original nursing purpose of the Order: by 1187 it held over 20 key strongholds in the Holy Land, including the spectacular Krak des Chevaliers. However, the Brethren always took their hospital duties seriously. Perhaps that was because, unlike the rival Templars, Hospitallers permitted women in the Order. Like other military orders, they had four classes of Brethren: knights, sergeants, serving brothers, and chaplains. They also allowed confrère knights. Any knight catching leprosy was required to leave the main Order to join the Knights Hospitaller of St. Lazarus. Although few in number, the “Lazars” founded many leper asylums in Europe (200 in England alone), supported by commanderies in the Holy Land. In 1134 defense of Aragon itself was left to the Hospitallers and Templars. 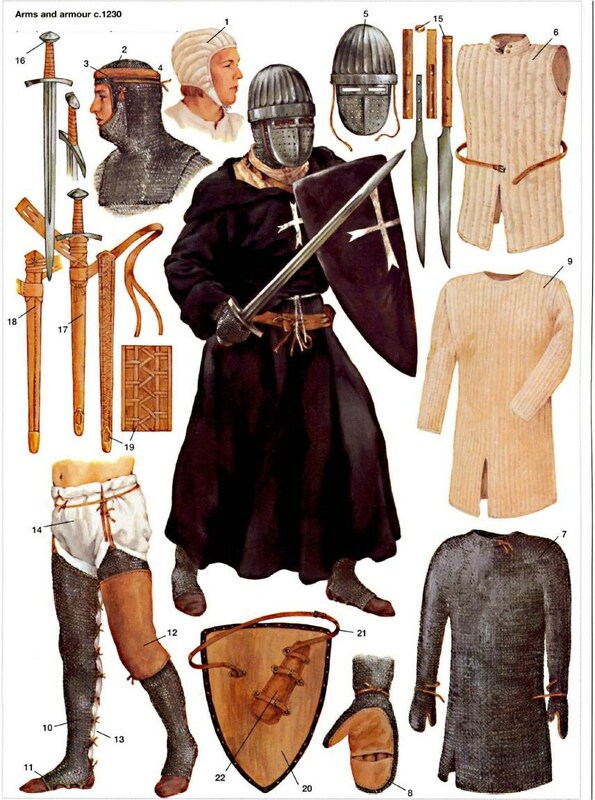 As Iberian Hospitallers were drawn more into the Reconquista fewer left as Crusader reinforcements for the Middle East. Still, the main concern of the Order remained Outremer. In 1187 Salāh al-Dîn inflicted a massive defeat on a Crusader army at Hattin, near Tiberias in Galilee. After the battle he ordered all Hospitaller and Templar prisoners killed. On October 3 his troops overwhelmed the remaining defenders of Jerusalem and recaptured the city for Islam. Subsequently, he battered down Crusader castles along the Syrian coast, earning respect among the Latins for his military skill and chivalry. When Jerusalem was recaptured for Islam in 1187 by the great warriorprince Salāh al-Dîn, the Knights Hospitaller retreated to Acre. 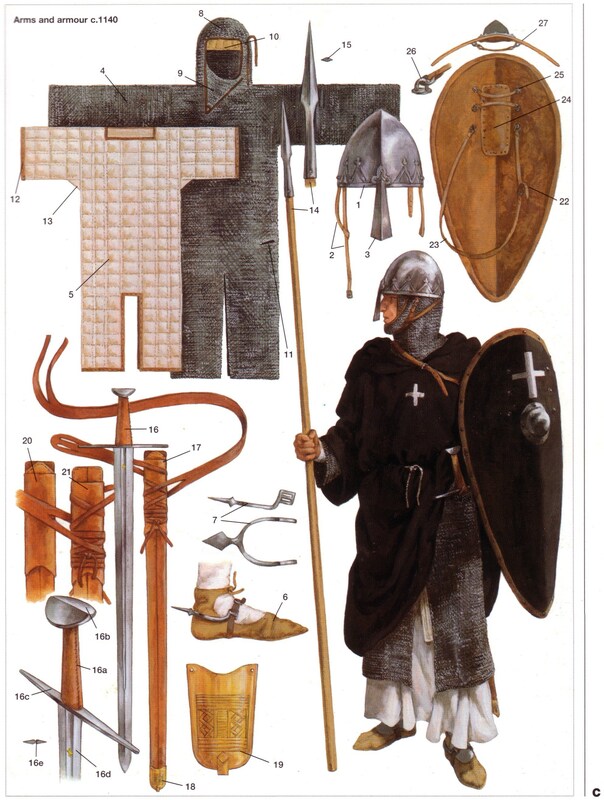 In the Muslim storming and sack of Acre in 1291 every Knight Hospitaller, Lazar, Knight of St. Thomas, and Teutonic Knight (except the Hochmeister) died fighting. Upon the loss of that last Crusader state in 1291, the Hospitallers withdrew to island strongpoints from which their long-established navy continued to fight ascendant Muslim power in the eastern Mediterranean. Along with other defeated Latins, surviving Hospitallers settled on Cyprus (1291) then Rhodes (1306). Although they benefitted hugely from persecution of the Templars, fear of similar treatment confirmed the Hospitallers in their decisions to make Rhodes their headquarters (1310) and to reorganize as a federation of national associations. From Rhodes they remained active as pirates (“Sea Brothers”) against Muslim and Christian ships alike. In 1344, in alliance with Venice, they captured Smyrna. In 1365 they captured Alexandria. In neither case could they hold what they took, and Muslim counterattacks soon retook both cities. In 1440 and 1480 the Hospitallers repelled two Muslim sieges of Rhodes. In 1522 they were finally defeated by the Ottomans; survivors were allowed to depart Rhodes (January 1, 1523). Already well-established and respected in Austria and Germany, in 1530 Charles V granted the Order sovereignty over Malta. It held that island as a Christian outpost in the Muslim eastern Mediterranean for several centuries. A much different and distant outpost was on St. Croix in the Virgin Islands. The Protestant Reformation led to suppression of Hospitaller branches in most Protestant countries, and confiscation of their great estates, although the Lazars continued a quiet, almost underground, existence in France and Italy. Attenuated in all ways, the Hospitallers remained in control of Malta until Napoleon dispensed with them in 1798.